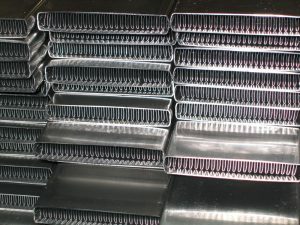 Stuffing a tube with a stamped or roll formed fin can significantly improve the performance of certain heat exchangers. For example, Charge Air Coolers often feature a stuffed tube which is a critical component of this heat exchanger. 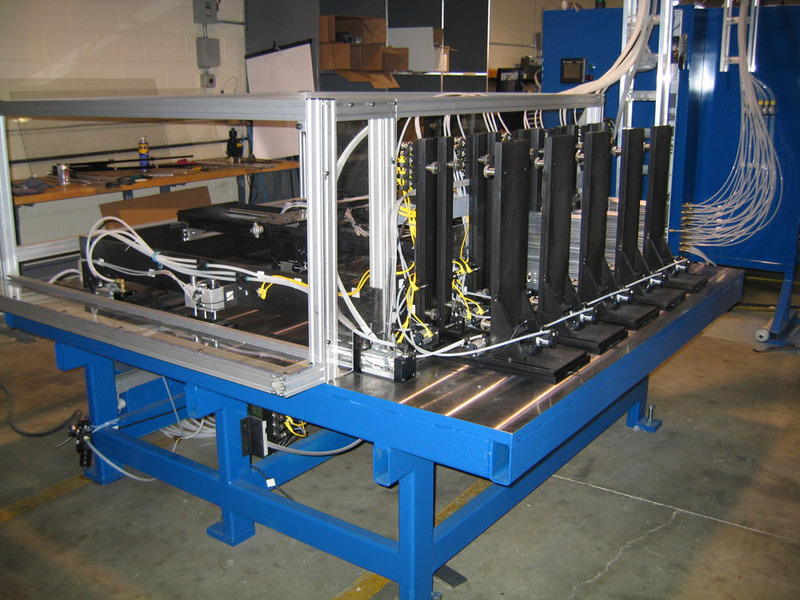 At Innovative Automation, we have experience with a variety of stuffed tube styles and types. We have produced tube stuffers that range from manual to fully automatic. 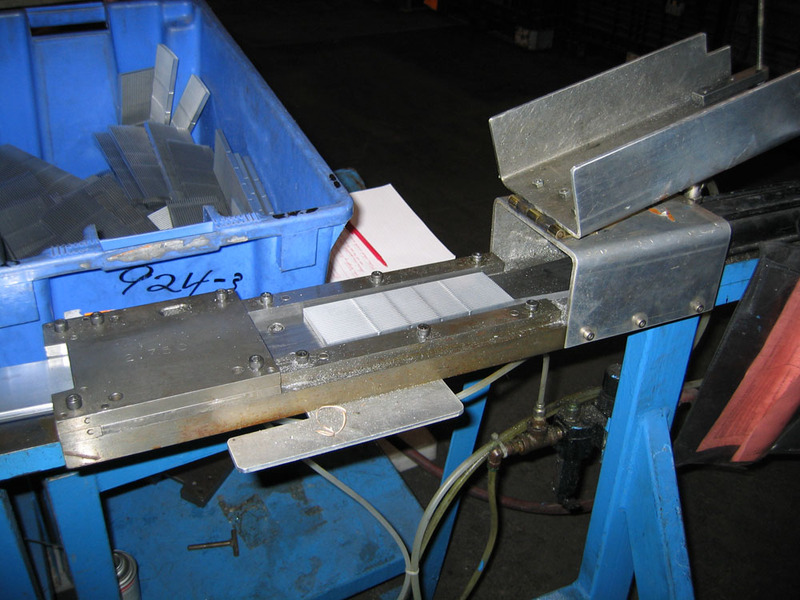 Tube stuffers can be utilized near the fin mill or core builder at the point of use. 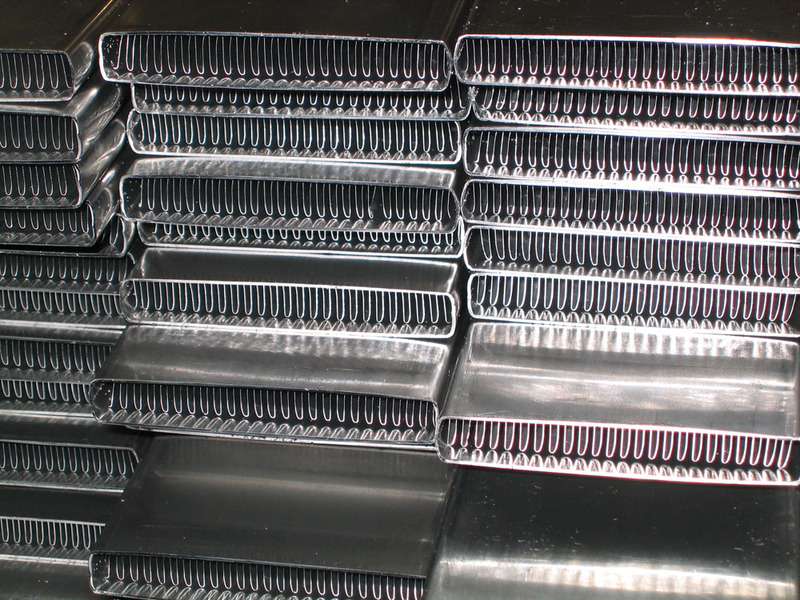 These machines typically feature assembly methods and rates that are matched specifically to the fin mill or the core builder. In other applications, we have applied completely autonomous tube stuffing systems that essentially are a department of their own with the resulting output consisting of the stuffed tube. With our ability to innovate creative solutions, we have often further improved the utility of our tube stuffers by integrating end forming into the stuffing operation. These systems feature the stuffing mechanism followed by a station that will form the end of the tube. This effectively completes a mechanical bonding of the fin inside the tube and also allows for a profiling of the tube end to help facilitate the headering of the core.